Macro Violet Or Pink Female Eye With Glitter Eyeshadow, Colorful Sparks, Crystals. Beauty Background, Fashion Glamour Makeup Concept. Fantasy Look. Holiday Evening Make-up Detail. Foto Royalty Free, Gravuras, Imagens E Banco De Fotografias. Image 114468541. 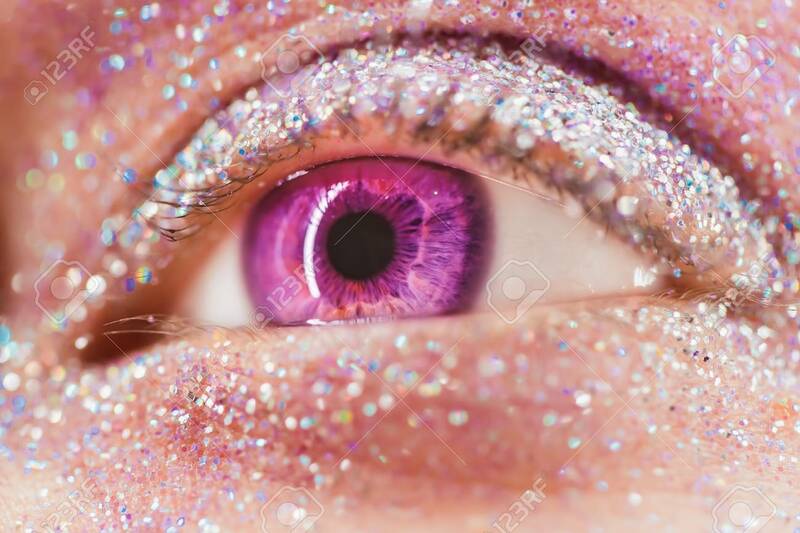 Banco de Imagens - Macro violet or pink female eye with glitter eyeshadow, colorful sparks, crystals. Beauty background, fashion glamour makeup concept. Fantasy look. Holiday evening make-up detail. Macro violet or pink female eye with glitter eyeshadow, colorful sparks, crystals. Beauty background, fashion glamour makeup concept. Fantasy look. Holiday evening make-up detail.